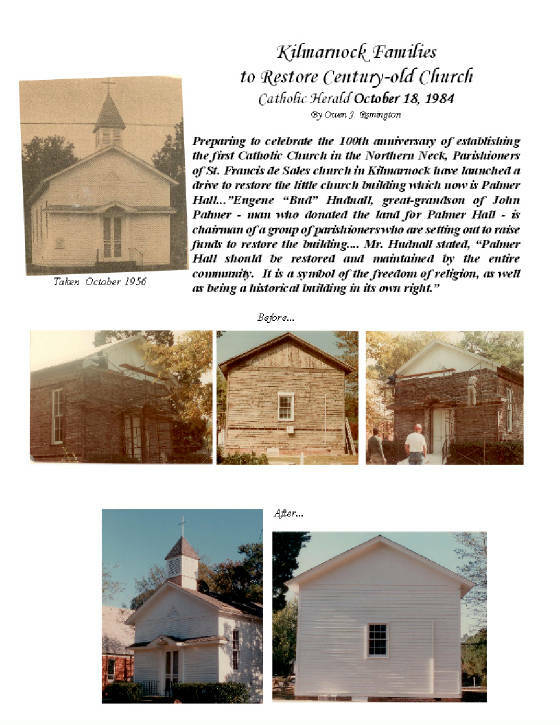 And excerpt from: History of St. Francis Catholic Chapel, Kilmarnock, Virginia, by Agnes Worthington Palmer. “As early as 1875 Bishop James Gibbons, later Cardinal James Gibbons of Baltimore, visited Lancaster and Northumberland counties to determine what possibilities there were for the establishment of a Catholic Church in Kilmarnock. He found two zealous catholic families. The Palmer family in Kilmarnock, and the Ball family at Midway and Bayview. There were a few scattered Catholics throughout the two counties, perhaps twenty-five in all. 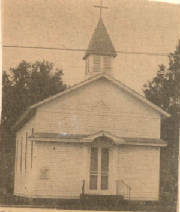 The present brick church was dedicated in 1956, full time membership then being about 100. The rectory, across the street from the church was purchased in 1960. 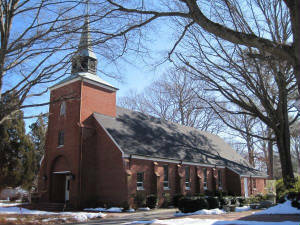 The parish of St. Francis de Sales was canonically established in 1966. Ground was broken in 1974 for de Sales Hall and a building was purchased in 2009 for the establishment of a CCD building. Since 1974 the parish has been under the Arlington Diocese. As of today, St. Francis de Sales parish serves over 400 families and St. Paul’s mission serves about 100 families. Times have changed greatly from colonial days, even from the late 19th century when Catholicism came to the Northern Neck. But a sense of history still pervades the gentle countryside. It breathes a stability and serenity that can come from the deep roots only time can grow.